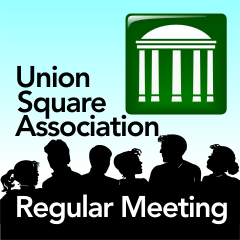 The USA Regular Meeting is at 7:00 PM on Wednesday May 2, 2012 at the NDC, 1401 Hollins St.
Come out and be a part of all of the great people and ideas that are changing Union Square everyday into the best place to live in Baltimore. All are welcome. This will be the last regular meeting until September. There will be an update from Jim Fendryk, Parks and Recs Construction Project Supervisor, concerning the renovation of the fountain and pavilion in Union Square Park. a presentation from Gallery Church on their plans to adopt three lots on S. Carey St.
an update from Chris Taylor about Southwest Partnership's efforts to stop the clustering of drug treatment services in our area. This article is based on content provided by an email from the USA. If you have never attended a meeting, this is your last chance until September. See what you've been missing and discover more about what makes the Union Square neighborhood so special!